Being in a toxic physical environment, such as a damaged nuclear reactor, can prove fatal. Likewise, a toxic IT organization can also be lethal- to your career, or at least your sanity. See if you see these eight signs, and if you can do something about it. 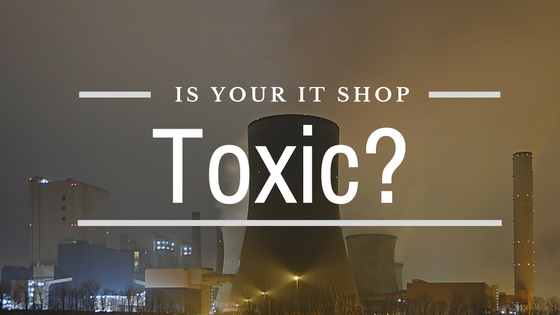 As IT workers, we always have to have our eyes on the job market, but if you see these eight signs of a toxic IT shop, you should get serious and find someplace new. No IT environment is perfect, so seeing one or two of these is not the end of the world. If you see more than one or two of these signs, it’s time to brush off the resume and see what’s out there. Not everyone can just quit their job in a hurry, so I’ve added What you can do to each sign. Maybe you can salvage or at least stave off leaving if you need to. Whether your IT management changes several times in a year, or you keep coming in to see your coworkers gone with no notice, you should be on high alert. This is an easy indicator that your IT organization is poorly managed. Why are these other people leaving? Is someone firing them or are they getting fed up and quitting? What you can do: Nothing, in this case. You can plead and try to help, but this is a people management problem and is out our your control. Every business leader wants the technology systems they need for the business to function, but not all are willing to put up the cash to buy them.Unfunded IT projects might mean your company or IT organization might have cash flow problems or might lack the ability to convince senior leadership that these projects are important. 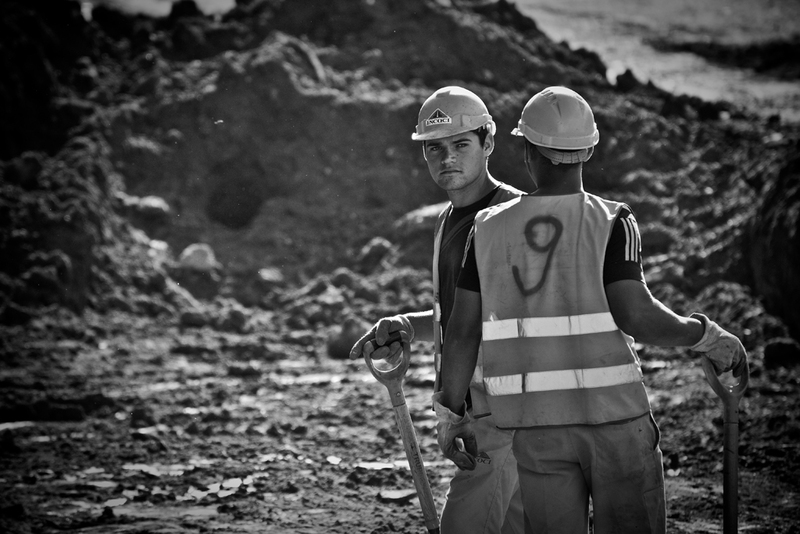 If your company has money problems, you should already be looking for other employment. What you can do: Be a better salesperson. While you can’t control how much money the company has, you can make a stronger case to get some of the money you need. Have a few options for your leadership, also, so if they can’t afford the Best, Better or Good might still work. Security is a red-hot topic these days, with large companies being revealing breaches month after month. You can get IT security best practices from NIST, Microsoft and other vendors. Every organization starts out with vulnerabilities. If you’ve already alerted your leadership, and they cant fix them, watch out. It’s only a matter of time before your infrastructure is compromised. Trust me- a breach is toxic to your career. What you can do: Immediately raise security issues to your management when you discover them with a plan of how you could remediate them. It’s up to them to decide if they can afford the risk or the solution. Document it all, just in case. PA person has limited number of hours they can work in a week. Techs in smaller shops can end up as a “one-man-show”, handling all the IT services. As businesses’ IT needs expand, companies don’t always scale up their IT workforce. That’s a problem. If you’re working many more than 40 hours weekly, you need someone to share the load with you. If you ask for help, and get rebuffed, don’t quit right yet. First see if you’re doing an adequate job of justifying the need. If everything works because you work 60 hours each week to keep it that way, management needs to know that. Document it. If you have still made what others would consider a good case, but you still can’t get a helper, there’s a chance that the money just isn’t there. You may not have to hire a full-time staff member, though, to make it happen. An MSP (Managed Services Provider) could help pick up the slack. If they can’t do an MSP or other person to help you, time to go. What you can do: Just like you need to sell your technical solutions, you also need to sell when you need to buy more help. One quick-and-dirty calculation is to take all your tickets and add the time up. Then average the time you spent on them. That number is your average time per ticket. You can then take your last 3 months of new tickets per week, and multiply. This will give you the number of hours to complete the given ticket load. If you are coming up with more than 40 or 50 hours per week, this can be a good start to your case. Part of keeping systems available- which is what IT is for, by the way- is having the ability to bring them down to update, repair, and otherwise maintain them. I have come from companies who expected 100% uptime, but would not negotiate maintenance. This is, as borne out in real life, is a losing proposition. You need maintenance windows. What you can do: Start talking way in advance about maintenance windows, and let them know that they’re really not optional. If they still protest, even after things break in the middle of the day, you are dealing with people who just don’t understand IT. Time for you to move on. Your value, only in work-for-money terms, is how much someone is willing to pay you to keep you around. I have found this not to be an issue at most companies- you get hired, you get paid, life goes on. All your red flags and alarms should be going off like crazy if someone tells you you’re overpaid. This is not only a sign of a person who lacks common sense, but an sign of a toxic (and maybe broke) company. What you can do: If when you go to ask for a raise (or at any other time) someone tells you that you are overpaid for your responsibilities, get out of there. This is a clear signal that you are not valued, at least by that person. If you boss is the one telling you, that’s a real problem. Time to go. Underperforming coworkers are the worst. I find that they don’t do their share of the work, even make you redo their work when it’s wrong. Hard work is not a problem for a Lazy Admin like me- but I don’t like redoing it. Even worse is when this behavior is either ignored or enabled. What you can do: When managers get constant complaints, but do nothing, this is a sign of serious dysfunction. You can’t fix your manager, but if you skip a level and let their boss know, you might get something done. In the long run, it’s just better to leave. Hard work is not a problem for a Lazy Admin like me- but I don’t like redoing it. It’s said that communication is the lifeblood of an organization- so when important things happen behind the scenes are you aren’t made aware of it, and they affect you, I’ve found that to be a sure sign of an IT group in trouble. There will always be things that happen that you can’t know about. When others make decisions that are part of your purview without you, resentment will happen. Disaster is next. What you can do: You can start by communicating with your manager and other groups as often as possible. You can “Manage Up”, which is to be proactive and focus on taking care of the things your manager wants and needs. When you make their job easier, doors open up. You can also ask questions and try to get included on as much pertinent communication as possible. In the end, creating a culture of communication is the responsibility of the company, not you. The great news is that you have the ability to change jobs if you see too many of these signs. Stay vigilant, and you won’t have to worry about working in a toxic IT shop. Did I give you something to think about? Do you see another toxic sign that I missed? Let me know in the comments below! Thanks for reading.